Back in the days when you didn’t pay for your TV programming, it was common to have a yagi antenna on the roof. If you were lucky enough to have every TV station in the area in the same direction, you could just point the antenna and forget it. If you didn’t, you needed an antenna rotator. These days, rotators are more often found on communication antennas like ham radio beams. For terrestrial use, the antenna only needs to swing around and doesn’t need to change elevation. However, it does take a stout motor because wind loading can put a lot of force on the system. [SP3TYF] has a HyGain AR-303 rotator and decided to build an Arduino-based controller for it. The finished product has an LCD and is able to drive a 24 V motor. You can control the azimuth of the antenna with a knob or via the computer. [Waldemar Lewandowski] built a variant of the rotor (taking some additional ideas from [SQ9OUB]) and made a video of the device in operation (see below). The video is a little quiet, but you’ll get the ideas and you can see the original [SP3TYF] version’s code and documentation. If you want to work satellites, you need an additional rotation axis. And if you think about it, rotating an antenna and moving a solar panel, probably have a lot in common — the sun is floating around in space, too. The original plan was to construct one of the two-wheeled robots very popular with hobbyists but it was eventually decided that the resulting vehicle would be of very limited application and capable only of traversing smooth surfaces. 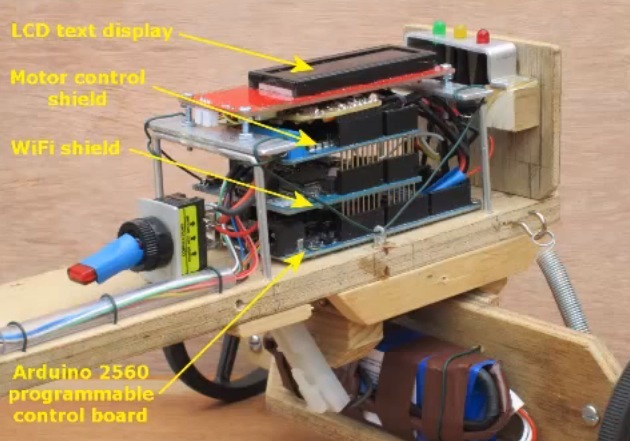 However, note that the current design can be viewed as the drive of a two-wheeled robot coupled with a trailer by means of a 360 degree pivot. A slip ring capsule within the pivot enables the heavy battery and bulky control system to be separated from the drive and located on the trailer thereby distributing weight evenly between the four wheels. 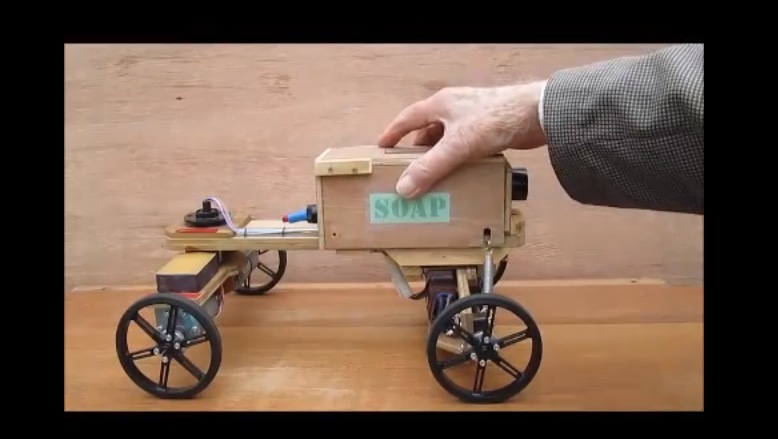 DIY soap-carts were pretty common among kids in the first part of the 20th century and built from old pram wheels, scrap wood and, typically, soap boxes. They could provide a lot of fun for the family at very low cost and in recent years there’s a new interest in them especially to those appreciating their vintage look! I bought a card "Dual 15A Wild Thumper Arduino DC Motor Controller"
When I connect the battery (voltage OK) to the card the led "good battery" lights for a while and then goes off. The "power" led is ON, the 5V output is ok, the corrent is about 40mA. Do I had to send the card to the seller or can I do other controls. ?